Pediatric polysomnography (PSG) and multiple sleep latency testing (MSLT) are the mainstays for the laboratory diagnosis of pediatric sleep disorders. Official guidelines have been set forth by the American Academy of Sleep Medicine (AASM) and they form the basis for accreditation standards for sleep laboratories. 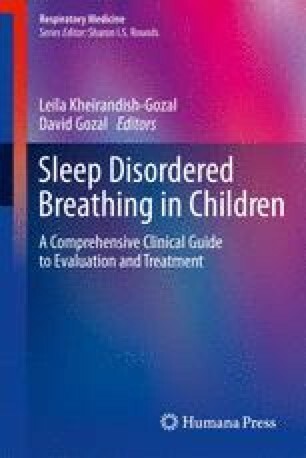 This chapter overviews the basics of clinical evaluation and planning as it relates to sleep testing, and discusses some of the nuances and peculiarities of these studies as they pertain to the pediatric population. Technicalities such as equipment specifications, details of sleep staging, and event scoring as well as MSLT protocols are beyond the scope of this chapter, but essentials of hookup and the utility of various sensors are discussed along with liberal use of illustrations to help the reader appreciate pediatric sleep testing.